The MITA Innovation Hub (MIH) is a small accelerator based in the SmartCity business township just behind the urban sprawl overlooking the majestic Grand Harbour. It is run by the Malta Information Technology Agency (MITA), the central government agency for IT. The MIH’s mandate is to engage and support students and early startup founders in implementing proof-of-concept projects which they would then use as a launchpad to specialise and start a tech business. It does this partly by organising an App Challenge every year. The challenge is organised by defining a problem and then giving it to startups to address through an app. This year, the challenge was going to be a bit different than usual. The Malta (satellite) App Challenge started with an unexpected call from Teodora Secara a year ago: through a common contact she had heard about our yearly calls for start-ups. What better event than the 12th November Satellite Solutions for Smart Islands Conference hosted by the Malta Council for Science and Technology (MCST) to challenge startups to use satellite-data as part of the solution? By the time we got near the launch date, we agreed on a two-strand app challenge: one strand — the MCST/MEPA Environment app challenge targeted individuals interested in using earth observation data to address challenges encountered by the Malta Planning and Environment Authority (MEPA); the other strand, branded startAPP 2.0, targeted startup founders willing to identify and define market problems that could be solved using geo-spatial data through a proof-of-concept. The latter would eventually become their vehicle of specialisation in satellite-data, validated learning and entrepreneurial discovery. 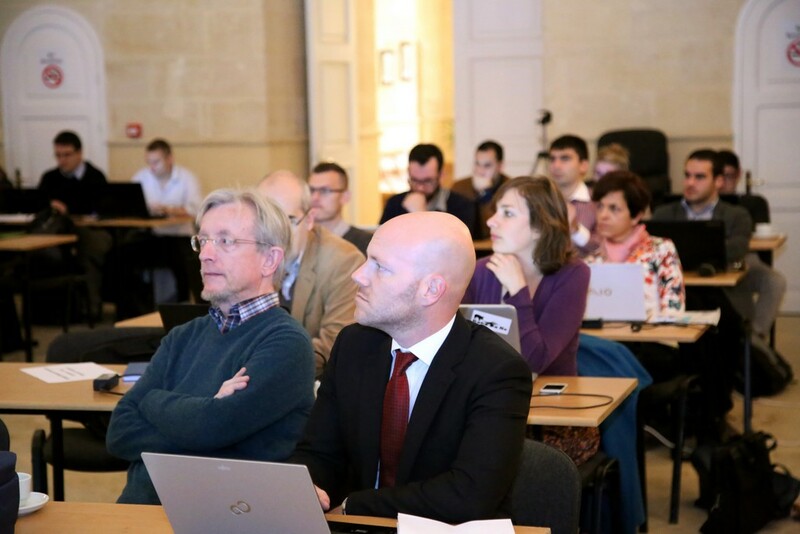 Combined prizes and grants for the App Challenge totaled almost €40,000, not including in-kind benefits for applicants, such as training courses in the use of EO data, delivered by experts from the European Space Agency and Airbus Defense and Space. Fast-forward to 12th March 2016, which was when 13 startups should have made it to pitch their business ideas on how they would use satellite-data to develop their innovative idea into a testable, deployable and demonstrable solution. That day was the culmination of a 12-week voyage peppered with events and checkpoints which stimulated, supported and encouraged the candidates: an info and networking social event to explain the call, three intensive Design Thinking workshops, a user needs scoping session, an ad hoc training workshop by ESA and Airbus D&S experts on how to download and transform satellite datasets, and one- to-one meetings with the startups to discuss their idea and help them formulate a quality proposal. After launching the call we immediately became concerned that the nature of the call was perhaps too challenging and complex for the Maltese start-up community when compared to previous calls. In startAPP 2.0 we left it up to the startups to define the problem, rather than defining it ourselves, as done usually. We now thought that the range of datasets seemed just too wide, the datasets themselves too raw, and the range of potential applications somewhat too close to market failure. In the end the risk paid off. Eight startups made it to pitch well articulated proposals in diverse areas before a panel of judges from MITA, MCST and PwC – a panel that was also backed by expert feedback provided by ESA and Eurisy. The ideas covered solutions to improve agriculture management, modelling urban planning impact on solar panels, negotiating traffic congestion, finding bus routes, retrieving lost property, transforming raw satellite data into usable information and measuring land subsidence for preventive road maintenance. Two startups were awarded the pre-seed investment of €22,000, with a third one given the investment for a potentially disruptive idea. These were respectively Ludoi with their traffic congestion and air quality monitoring app, AgriStat with their SaaS solution for winegrowers and the Find&Seek lost property platform. These startups have now entered the second more intensive phase of the MIH accelerator programme during which they will design, develop and test their prototype with the local market as a testbed. In parallel the startup founders will be trained, coached and mentored by tech entrepreneurs and business experts on how to go commercial, ideally globally. While the MEPA/MCST Environmental challenge is still underway, the startAPP 2.0 programme is really only now starting its ‘build’ phase. However, even at this stage we can already pinpoint a number of learning points from this interesting experience. No doubt, the callous statistics about startup success are what they are: only the few will make it to achieve a million euro exit. But by the time startup founders have conceived, pitched and implemented their business idea based on earth observation and geo-spatial data, they have gained a new specialisation in data science and more specifically in the growing niche that satellite-data applications are. So even if the startup founders do not advance to become the Steve Jobs and Mark Zuckerbergs of tomorrow, they will surely take their newly found expertise, experience and entrepreneurial talent with them to their new pastures. And literature on startups already tells us that startup founders are more likely to succeed if they have at least two or three failed attempts behind them. When we accepted to include Sentinel data in our App Challenge, we were not held back by the fact that this was the first time we, and especially our start-ups, had heard about the EU’s Sentinels. Only later would we find out that using satellite data is not as straightforward as using a picture, or a .csv file. But going for it all the same has allowed our startups to diverge and eventually explore new ideas and recombine existing ones. Past experience gives us insight and foresight, but sometimes it can act as an inhibitor of new ideas as we begin to challenge their feasibility and viability. In this regard the skill, young talent and ‘can do’ ingenuity of the startups, combined with the support network of ‘veterans’ we created to converge everything together to make business sense, has definitely made a difference. 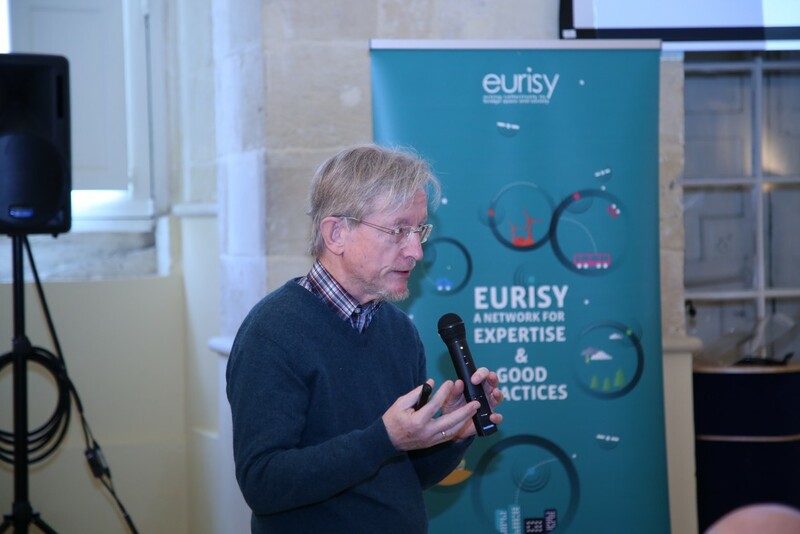 In the Malta App Challenge, several face-to-face contacts with the startup founders, perhaps typical of the small community that Malta is, was instrumental in helping the startups make sense of the huge volume of data available from the Copernicus Project, visualise the myriads of good practices available, and build sufficient confidence that help is ready at hand. Ideation does not and cannot thrive in mechanistic organisations caught in procedure, process and form as they are caught up in the daily business of executing their core public function. Being open to startups with their open-minded outlook, building trust relationships with them, and helping them test their vision is a good way to bring in new knowledge, creativity and talent, and contemplate new models on how to solve today’s and possibly even tomorrow’s problems. Startups are in many ways the buckskin-draped wild scouts one sees in Hollywood films trotting around an organised formation of uniformed cavalry. They are the ones with the visibility and the agility that can anticipate, inform and ensure readiness of the organised formation. It was encouraging to acknowledge that the Malta Environment Agency has agreed to participate, as have other user organisations in our previous editions. Innovation thrives when disciplines, expertise and know-how are pooled together. Public sector organisations and large companies are sometimes genetically designed to want to do everything themselves in isolation, to question and even to be suspicious of all ideas that come from the exterior — the adage “if it ain't mine it ain't good” comes to mind. This silo mentality can sometimes repress cross- pollination of ideas. In this particular case, the Challenge was organised as a result of an agreement that was reached between four organisations to bring together the best of respective capacities: Eurisy as a facilitator, MITA as a digital startup incubation specialist, MCST and ESA as the space experts. Take out any of these organisations, and the challenge would not have achieved half the response that was achieved. The MITA-MCST-MEPA-EURISY partnership was all very informal, all very bottom-up with few strings attached, allowing some degree of improvisation to cope with sudden changes. The decision to reach out and discuss outline ideas with the startups, or the rescheduling of Design Thinking sessions and ESA training to better accommodate the process of discovery and ideation by the startups, are just two examples of improvisation. The lack of a rigid structure is what permitted this flexibility. In their quest to assure delivery of service, public sector organisations tend to adopt project management methodologies that assume linear predictability. This means that they will put in place a series of risk mitigation measures to reduce risk to project delivery. That is all very well for mission critical, but routine, projects. But in innovation projects, those same risk mitigation measures can actually inhibit creativity and agility. The chaos one finds in very small organisations like startups is often what breeds new ideas and new possibilities in the resolution of problems. Plenty of learning takes place, and because the investment made is relatively small, they can afford the luxury of flexibility and pivoting to new course of actions based on what they have learnt and tested iteratively. For some reason, most technologists conceive data as something humans generate from the ground up using a device or computer, rather than as imagery captured by satellites orbiting the earth. We often complain about our national and regional governments not generating enough open data, when there is a veritable goldmine of data above our heads that does not just satisfy our narrow domestic market needs, but global ones too. End-users often associate satellites with whatever provides them with cable TV and the weather bulletin (or the Moon). In a way, that’s fine too, end-users don’t need to become satellite experts. As long as they receive the information they need, they needn’t care where it’s coming from. All the same, Copernicus is a public European infrastructure. So that App Challenge has also been an opportunity to let public entities know that these infrastructures, paid with the tax payers’ money, should benefit them. First, is raising awareness about what satellite data are available through the Copernicus programme. Second is investing in the right tools and support structures to help the IT-savvy user base that can add value to the data. Third, getting the end-user involved in the process, like we did with MEPA and other user organisations in the past. The Malta App Challenge will surely reserve more lessons learnt once the second part of the cycle is complete. Which is when the startups will have tested and deployed their solutions. We hope that one of these lessons will be that once the right amount and mix of resources and focus are committed— both human and financial— the return on investment is rewarding enough to make satellite data a recurrent theme of all future requests for startups organised by the MIH accelerator programme.